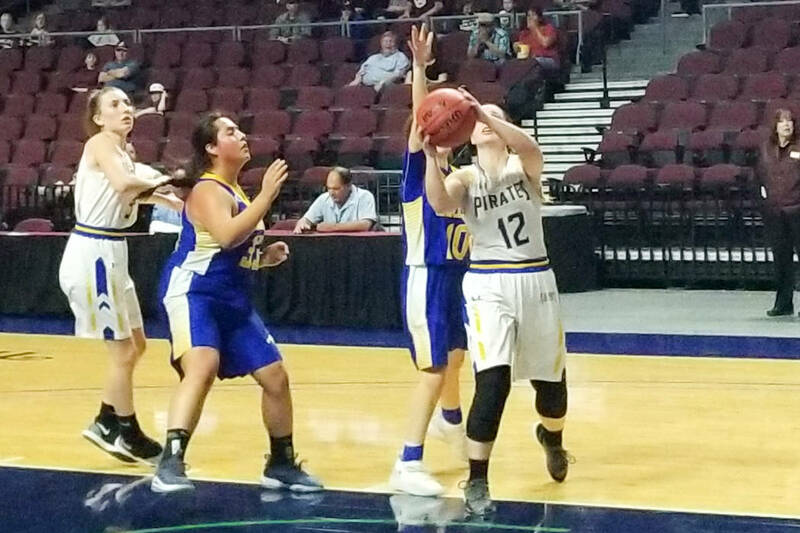 Senior guard Lainey Cornwall made two free throws with 3.8 seconds left to help the Pirates cement a 43-38 victory over Lowry in the Class 3A state semifinals Friday afternoon at Orleans Arena. 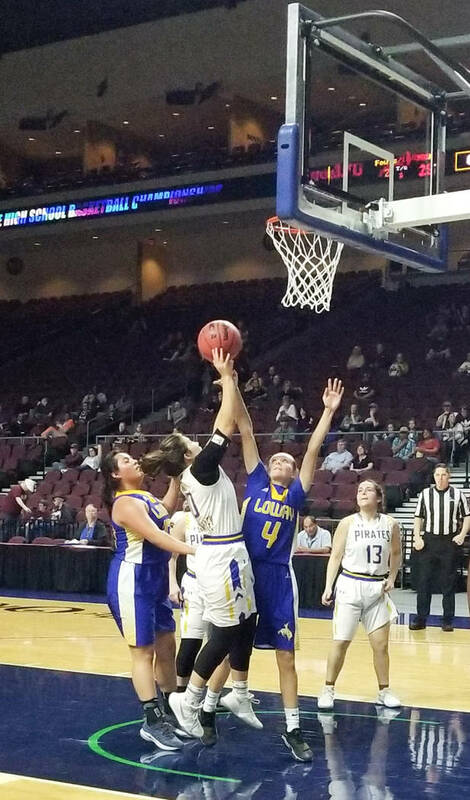 Moapa Valley’s girls basketball team hasn’t won a state championship since 1999. 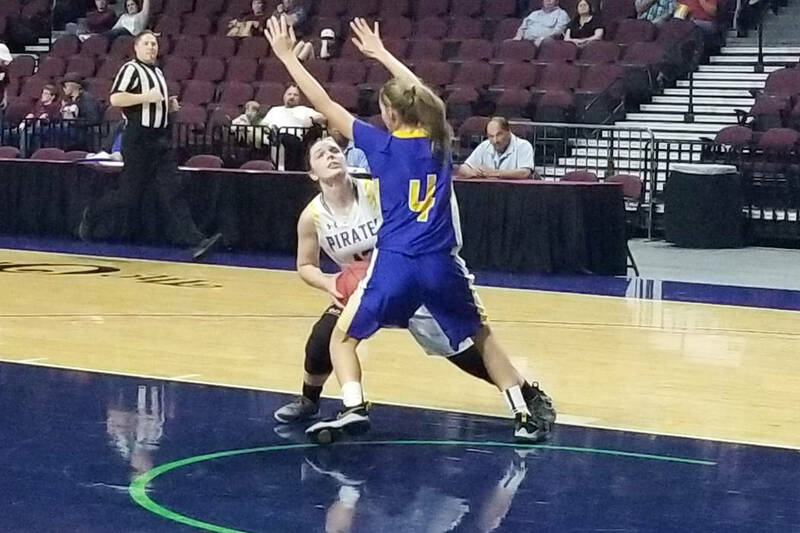 Senior guard Lainey Cornwall scored a game-high 20 points and made two free throws with 3.8 seconds left to help the Pirates cement a 43-38 victory over Lowry in the Class 3A state semifinals Friday afternoon at Orleans Arena. 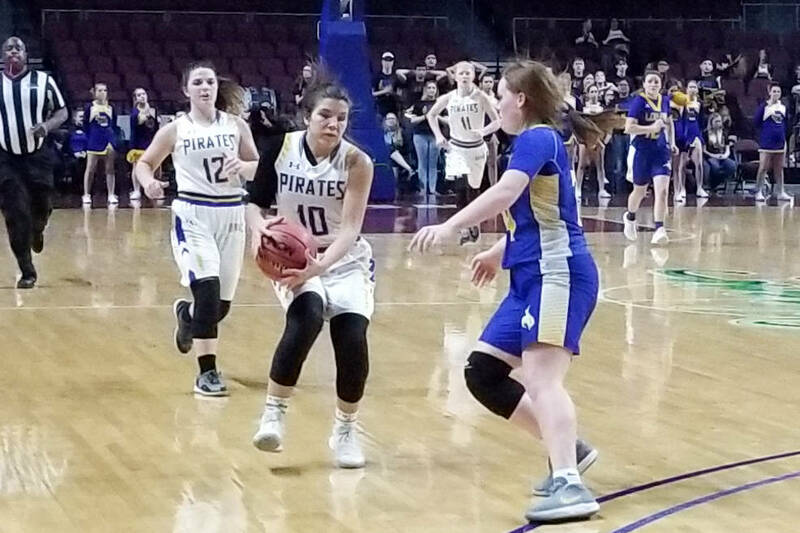 Moapa Valley, in its first state championship game since 2000, will play Churchill County at 11 a.m.
Jones took over for Stuart Humes, who spent six seasons at the help and led the Pirates to the state tournament in 2017. The first-year coach returned eight upperclassmen and had lofty expectations before the year. His players have exceeded them. 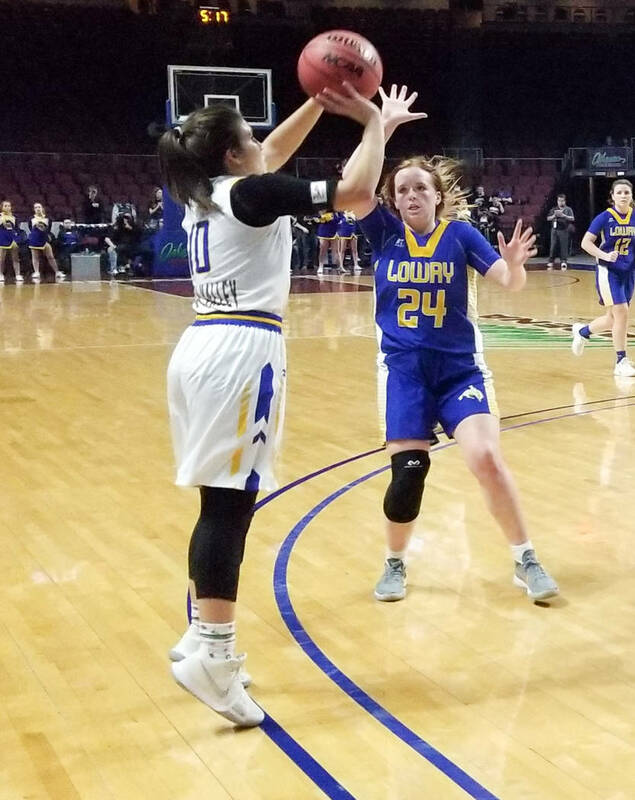 Moapa Valley (21-9) finished second in the Class 3A Sunrise League, but rolled through the Southern Region tournament to earn the South’s top seed in the state tournament. Cornwall keyed the Pirates to a 21-13 halftime lead with five baskets and 10 points. 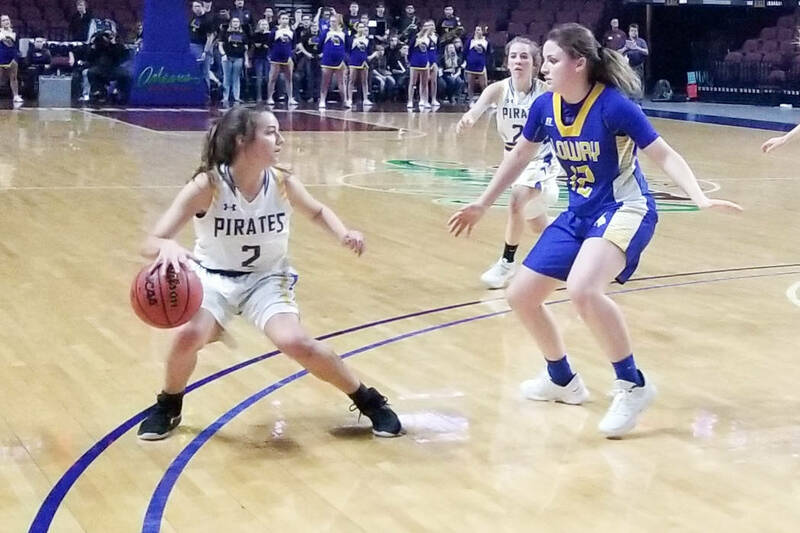 The Buckaroos rallied in the third and fourth quarters, and pulled within two points multiple times, but Emma Humes made two pivotal free throws with 38 seconds left to help the Pirates take a six-point lead. Lowry made a 3-pointer in the final seconds and fouled Cornwall on the ensuing possession. 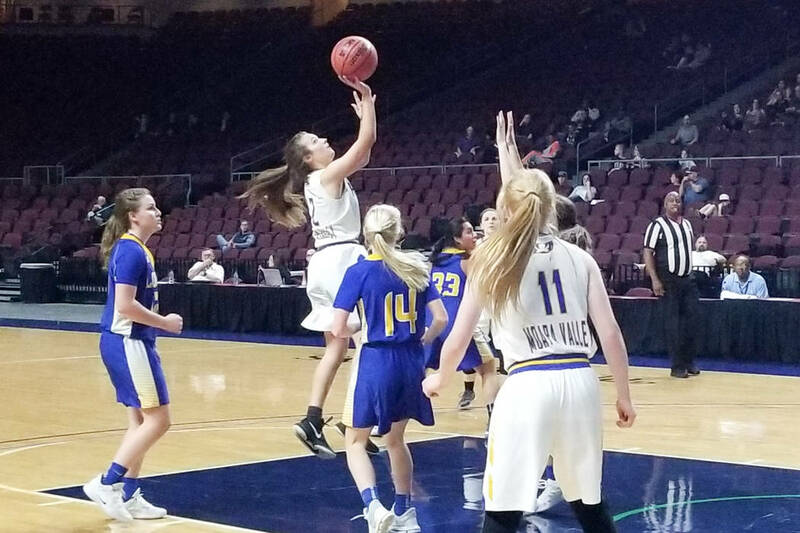 Churchill County 43, Boulder City 25 — Boulder City girls basketball coach Kirk Estes had a message for his players after their loss in the Class 3A state semifinals to Churchill County. Their off-season began Friday afternoon. The Eagles played the Greenwave to a 17-17 tie in the first half, but struggled offensively in the second half and fell to defeat. 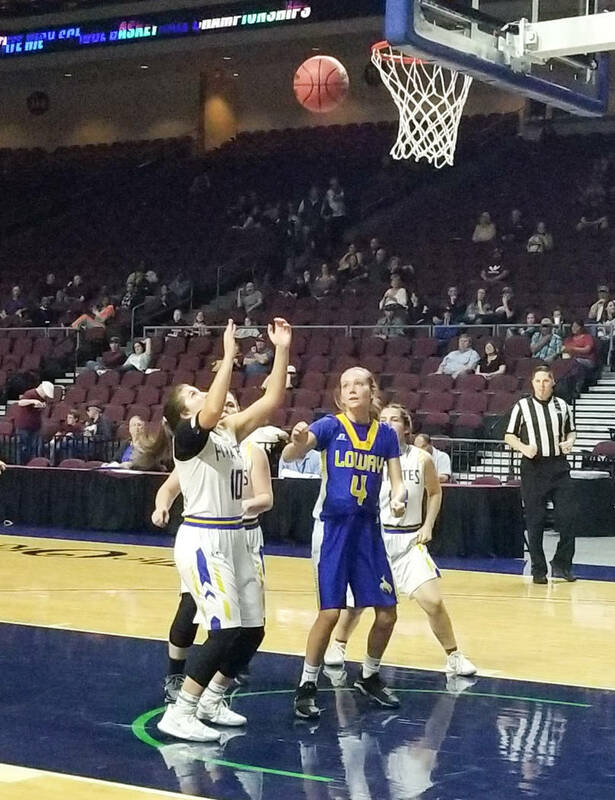 Keely Alexander led Boulder City (21-9) with nine points, and teammate Ellie Howard scored eight. Leilani Otuafi had a game-high 12 points for Churchill County. Estes is still remarkably proud of his players, who helped the program reach the state tournament for the first time since 2014. He’s hoping the returning players can build on their experience moving forward.